Times are… 8 Eastern, 7 Central, 6 Mountain, and 8 Pacific. Previous PostMemories 2016 ~ ZdenaNext PostLast Night! I am ready to get everything done and sit in my chair at 7 Central time on Wednesday. The boys are on ‘the road again’. I send and e-mail to all the people in my life who support my love of Il Volo and the non believers. Since it is on American TV some of them might at least peek in. Gina, I did the same thing. I have also set my record button so I won’t miss a second of their performance. I’m so excited. I told my grt. grandson GERHARDT (3) about it and he looked at the pict of the boys in my room and “you mean Gianluca, Perso and Nacho?” He clapped and said “BRAVO”. I teach him well. Thanks, Pirate and Kelly! Somehow I didn’t see the top line. I DID get to watch!! Is it just me, or does anyone else feel the same way? As soon as I know they are on American soil I start to get anxious. It’s like they are so near and yet so far away. I alway’s watch America’s Got Talent, and the guest stars only sing one song. I wonder if they will sing Nessun Dorma? The 12 year old girl( Laura Breton) sing’s opera, and I want her to win. She sang Nessun Dorma on the first show, so maybe the guys will sing something different. Jill, I feel the same way. I get all tingly knowing they are on the same ground as I am. Can’t wait to see them! Yes, after reading that article, they just might do Nessun Dorma. Would be cool if they did a “duet” with the young girl? Woo Hoo!!!! I thought they were in Germany. It just goes to show how popular they are around the world. This is a BIG tv appearance. Bless our Boys. So many people will be watching. Can’t wait!!! So great to get U.S. TV coverage! Wonder how many millions will be watching! Nicholle, it may be that they would like to come to Calgary but it could well be that the concert venues don’t work out because of conflicting dates, particular requirements, tour conflicts with other dates. I say this because they haven’t found their way to my beloved Oregon yet either… oh and btw, I got relatives up in Calgary, so it has a special place in my heart too. we have 2 really great concert halls that i am sure would suit them very well. they are not booked to often. DRat and dern! I have choir practice tomorrow night–naturally it is from 8 to 9:30! I hope there is a video or two…. I’ll not be budging from in front of the TV all evening! 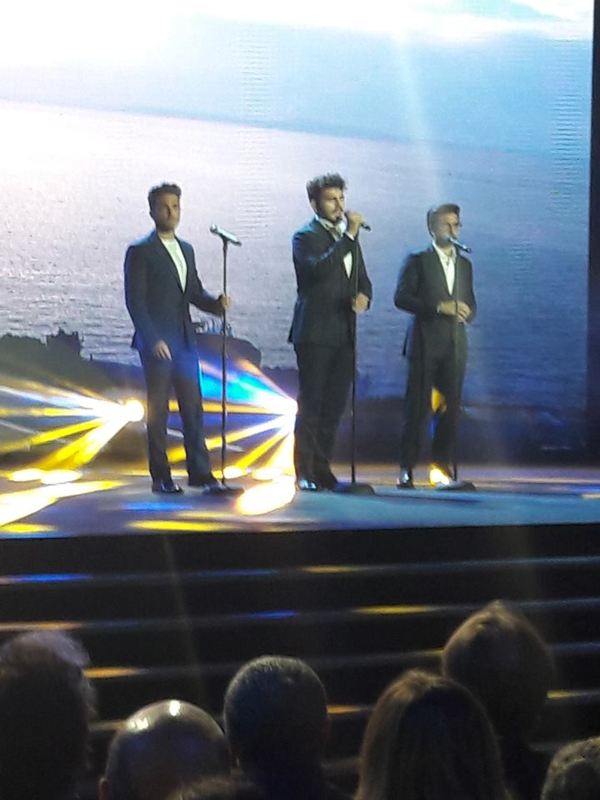 I caught the announcement last night on All Things Il Volo by Gary. I was watching America’s Got Talent . The talent finals were great. At the end of the show I was waiting to see if they mentioned the guests. Nick Cannon just said make sure you tune in we have some exciting surprises. No mention of Il Volo! Like many of you, I too will be glued to my tv. I am so HAPPY to be able to see them live! I wish there were a way I could watch what you record! Their moment will be all over the net tomorrow. This is so exciting!!! I will be glued to my TV also! Can’t wait to see them! Finally, a spot on American TV….so glad to see them getting some US exposure….to see them is to love them, so no doubt many more will be loving them after tonight. L.A. was their first American home and I think still has a place in their hearts….so happy to see them here. I agree that many more will be loving them after tonight. I just posted the America’s Got Talent link on my Facebook page! I must say it is about time to get back on American television – on regular commercial broadcast TV show. This is kind of like the appearance on American Idol so long ago. Also the finals. So happy I saw this. This was probably last minute as they are supposed to be in Poland Friday. Finally, they are on American TV again. I’m so excited! I. Can not. Wait. To. See. These. Gorgeous. Talented. Guys. On. T. V. Il. Volo this. Would. Be. The. First. Time. Seeing. Them. Televised. I. Wish. They. Would. Be. Able. To. Do. More. T. V. Shows. What. A. Treat. Cannot. Wait. I hear you all very excited to see live IL VOLO tonight and I ‘m very happy for you . 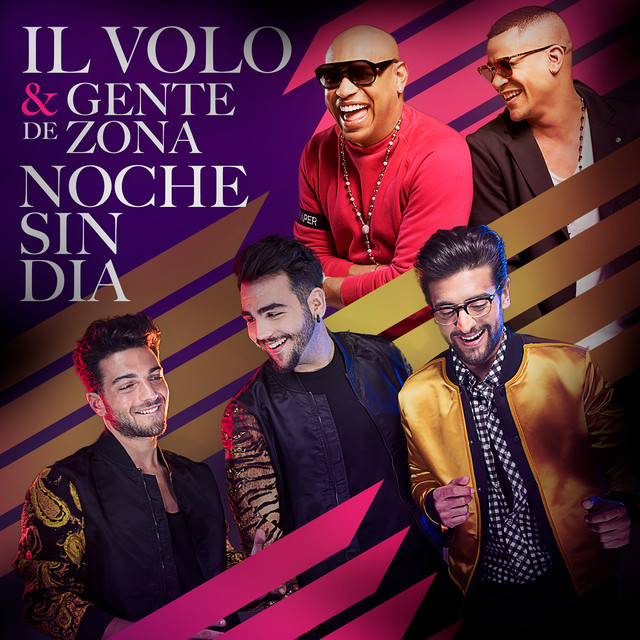 I will try to follow in streaming and tomorrow morning ( for me ) I will read all your comments while you ‘re probably still asleep and perhaps dreaming PIERO, IGNAZIO e GIANLUCA. BUONA SERATA A TUTTI E BUON DIVERTIMENTO. It was brief, but sweet! It was, Marie, but kind of like ‘ hit & run ‘, though through no fault of their own ! Wish they had been featured solely as a guest act & not been arranged as a support for the young soprano singer. Then she loses to a young girl who doesn’t have even a good singing voice! Sure hope it doesn’t cast a shadow over IL Volo’s hearts & hopes re/ the USA & next year’s tour when here. That show & the voters certainly don’t speak for all younger Americans ( many, many here can still recognize the difference between real quality & commercial hype). I agree, didn’t even seem like the whole song? Like they each sang a phrase, and then they all sang together and it was over? Disappointing the young girl did not make it into the top 5 😦 . Unfortunately, opera is not that commercial in the US. Was really hoping she would have gone farther. But I guess to have made it into the top 10 was pretty good? At least it gave Il Volo exposure on regular US TV again. I’d be curious to hear what Simon thinks about the guys? Hope they got paid well! Jana, The show has’nt come on yet in Hawaii, it will come on in 45minute’s. I was reading comment’s that people had made about the show, and I would say that 90% of them wanted Laura to win. There were only good comment’s about Il Volo, and the people that made those comment’s seemed to know who they are. When you said you would like to hear what Simon think’s about the guy’s, did you mean in general? or were you talking about their performance on the show? He has known the guy’s a long time, and genuinely likes them. He also likes Laura Breton a lot, and I have a feeling that he was the one who put them together.I’m sure I will have more comment’s after I see the show. I refrained from watching the video’s that are on YouTube already! After watching the guys: I never like it when they cut a song in half to fit commercials and other nonsense in. I did not like the other non-singing acts “stuffed” in as a distraction. Once again, they guys flew several thousand miles to do the PBS promo and this song – whew ! On the good side: The guys sounded great – period ! The big important thing is that the Nielson ratings for tonight should be about 14 to 17 million and that is GREAT for Il Volo. Broader American exposure. Thanks for reminder about the HUGE exposure for Il Volo, Myron. With that television appearance and the YouTube audience, it is super good for them. Ahh so they did a PBS promo too while here in the States, well that made it a bit more worthwhile besides those paltry few minutes on the show. I am sure they walked away with a tidy paycheck to boot! I would have loved to know what Simon thought of them. Still all that plane travel for just a few hours of work. What a life. Ok I’m back. I just watched the guy’s, and like Myron and Jana I hate it when they shorten a song, especially a beautiful song like that. To me, the guy’s looked a little uncomfortable,maybe they did’nt know in advance there would be a juggler on stage with them( I mean when they first agreed to do the show) I hope they got “big buck’s” because it was a long way to go for it seemed like a minute and a half. They are probably on their way to Poland already! I could not see stream tonight and I saw the video this morning , you’re right, Marie , and ‘ was very short but very intense , Piero Ignazio and Gianluca were very good and beautiful as only they can do . Brava Laura and beautiful everything else . Surely it is worth having the audience that the program , certain that the boys have faced a nice trip down for a few minutes . I hope they are equally fit for Poland waiting with trepidation them . Boy do I feel short changed Il Volo’s beautiful voices were heard for 3 minutes. At least they showed everyone what excellent voices sound like. Beautiful song. Too bad it was only part of it. As always the guys were flawless. Such talent for such a short time. Oh well I guess we have to take what we can get . In short, I’m still hungry only now I am feeling used. il VOLO DESERVES BETTER AND SO DO WE. Connie , this comparison is beautiful and truly represents our feelings , after that tasty morsel we expected a tasty sweet …… but so those unfamiliar with them remains with the desire to know IL VOLO. Daniela, You, Jana, Myron, Loretta, Nicholle, Marie …. all have positive attitudes about the event as concerns Il Volo, Thanks for the reminders to look at the bright side of things. You are exactly right, Pirate. It wasn’t even a whole appetizer. I thought it was kind of rude too–they didn’t even mention their names. The interview afterwards posted above is almost better than the performance. The second video posted on the blog. I did feel it was so short and not an appropriate opportunity for them to display the diversity of their music or their great personalities, except on the lovely interview clip. But / and 14-17 million viewers exposed to IL VOLO! One half song from IL VOLO commands attention. And I would rather that short bit than 2-3 songs on the Today show. American Idol did more for their budding career than anything else. But they did get to show their personalities more then. The interview will help this time. I love that they got to connect a bit with some of the folks in the contest. This is also a wonderful boost to their career. My feeling is that their management is getting them class-act opportunities with respect and good exposure. Notte Magica being an awesome example. NOW would be a good time to get some American TV show follow-up exposure, on the heels of AGT! I appreciate being able to share my thoughts and enjoy yours! Thanks for letting us know about the TV show. The guys were GREAT (of course). I wish they could have been on longer but it was better then nothing. They just keep getting better and better and better.